There's a certain aura that accompanies a band that feels at total ease when performing for a large audience. And that radiates with every Twisted Measure performance I've took the time to enjoy, especially this one. 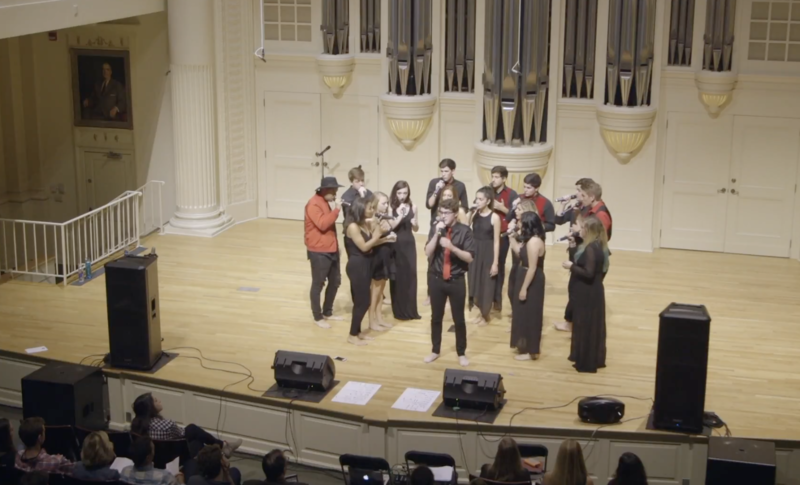 The a cappella group from Elon University takes total control every time they set foot onstage, allowing the experience to feel both intimate and inviting. And this works on both ends of the dynamic end of the spectrum. It just so happens that in this particular case, the coed group is soothing the soul with Zac Brown Band's "Free." The gentle tones that flow from each voice are so delicate and cohesive that they create a warm atmosphere that only the purest of a cappella songs could live in. And as an audience member, this is what you crave from a band in order to get lost in the music. What further helps in cementing this moment among great a cappella moments though is the lead's ability to guide you throughout the entire ride. His voice possesses a richness to it, the kind that is absolutely required to sing a country tune from the soul. We think you'll like this one.